Born in 1962 in Seoul, South Korea, Do Ho Suh’s art is very much rooted by his own history of migration, having moved to the United States in his late twenties. From his sculptures, installations and drawings, his works explore the notion of personal space, the boundaries of identity, and the relationship between the individual and the collective body. He is best-known for his extraordinary fabric sculptures – carefully rendered full-scale replicas of personal spaces of the artist, from his childhood home in Seoul, to his New York apartment and studio. Excellent stuff here- When will you post the Tiffany Chung profile as well? Been waiting eagerly to use as a source for an academic project. Please help! Somehow "Home Within Home Within Home Within Home Within Home" reminds me of that poignant, evocative world that Dom Cobb and his wife created and that he revisited long after she died – in the Christopher Nolan film "Inception." Inspiring. May you find God through your art…. I was very lucky to get to see his first fabric home. It was an incredible feeling to be inside it. Wow! 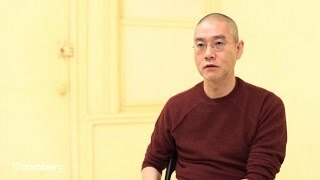 I loved this video sharing the life and talent of Do Ho Suh – a gifted artist. Wonderful to hear and see his artistic transitions from one medium to the next, one style to the next. I really thanks you and your All team, to share with such great artist art work, with great efforts​, great job.